Your man will grunt with joy when he adds these personalized bar coasters to his man-cave area. Each custom man cave coaster will be engraved with any name, up to 16 characters. 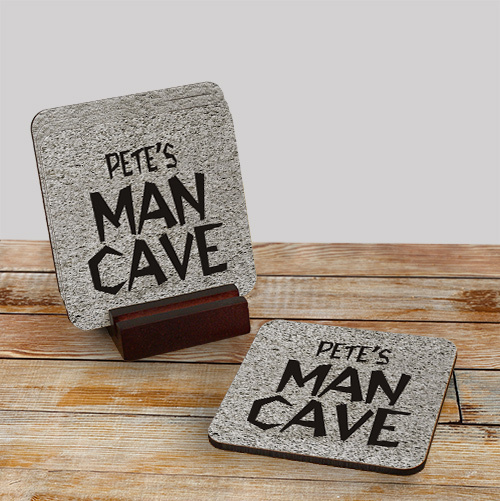 Mancave gifts are great for Father's Day, birthdays for him and any other day! I bought these coasters for my boyfriend. He loved them!